After seeing CDPR’s gameplay reveal for Cyberpunk 2077, I knew I had to build myself a PC to experience it at its full potential. Although I’ve never built a PC before, I work in software development and have a natural curiosity for hardware; I was able to jump in relatively quickly after a bit of research. Before this, I’ve mostly stuck to console gaming, but I have a gaming laptop that I purchased back in 2013 – the ASUS ROG G750JX. The laptop came with i7 4700HQ and GTX 770M. It was definitely a solid laptop for the time and it wasn’t until about a year ago that I started to feel its age when using it for 1080p gaming. Aside from having to play most modern games at medium settings at 1080p, the HDD was a huge bottleneck. I could have swapped out the HDD for an SSD, but figured it was time to put her to rest. Coming from console gaming, 60 FPS is pretty much my preferred framerate and anything over that is just unnecessary – I mostly play single-player games like the Witcher 3 or Breath of the Wild. Since I was shooting for 60 FPS, 4K gaming seemed like a possibility. It took about 5 months to get all of the parts together and I revised my list several times during the process. I originally planned on an i5 8600K + 1080 Ti setup, but the recent product launches made me reevaluate. Thankfully, I hadn’t yet bought a GPU and was still within the refund period for my CPU. I wanted to build something that could last me another 5 years so a lot of parts may seem like overkill for now, but that’s definitely the point. The build is silent, cool, and powerful. Honestly, aside from a detail here or there, I am very pleased with how my first time build turned out and the quality of the components are good enough to where I’ll be set for a long time coming. I definitely plan on overclocking my CPU after a bit more research. On top of that, I figured my GPU might generate quite a bit of heat that’ll be near the CPU. After reading quite a few positive reviews and admiring the aesthetics, I ended up on the Corsair H100i v2. 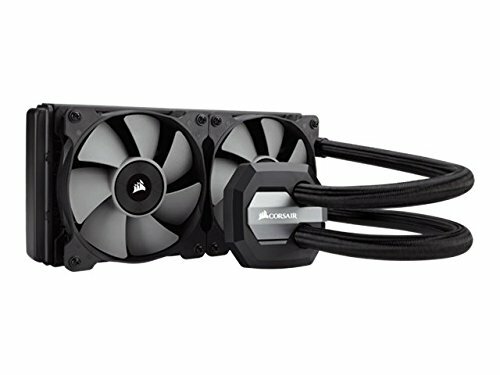 It seems to be a favorite here on PCPP and Corsair is a trustworthy, solid company. This is an interesting part. I originally planned on using an i5 8600K and getting a compatible motherboard to go with it. I’m not too fond of flashy RGB, but the AURA Sync feature looked like something I would definitely play around with. I was a little concerned about CPU compatibility after buying the 9600K, but, after flashing the motherboard with the newest BIOS, it supports Coffee Lake Refresh architecture. I’m not sure if this motherboard will bottleneck my overclocking capabilities in the future but I guess I’ll find out in time. As of now, I’m happy with my selection. I couldn’t decide between this and the G.Skill Trident Z RGB DDR4-3200 RAM. In the end, I figured the RGB might be a bit too much. Given the two RAM’s CAS latency, DDR4-3000 CL15 vs DDR4-3200 CL16 should end in a draw. What’s more, overclocking RAM to 3000 MHz should be a tad more reliable than expecting 3200 MHz. Finally, to keep up brand consistency, I opted for Corsair. The same logic I used for picking my OS SSD applies here. I wanted something to store my media, but 500 GB of media storage space may seem way too small for a lot of people. I’m the type of person who doesn’t like to let things take up space if I have no intention of getting back to it – I clean up storage often and have a hard time using more than 250 GB. 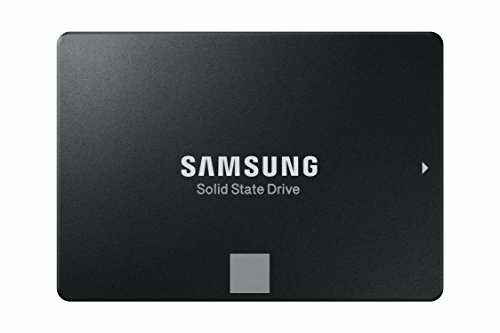 While this is my first time building a PC, I’ve swapped out HDD’s and SSD’s in the past and Samsung has never let me down. This M.2 SSD is reserved for my OS and is blazing fast. I have absolutely nothing but love for this part. 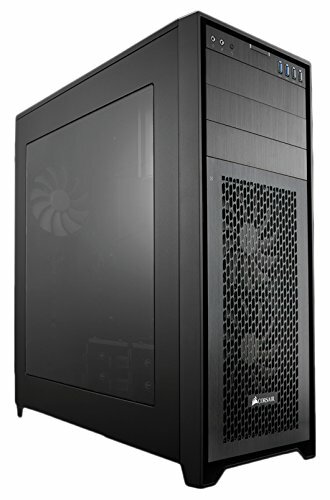 For my first build, I wanted a case that would give me considerable breathing room and airflow if I wanted to add more parts in the future; I figured I would need a full tower. 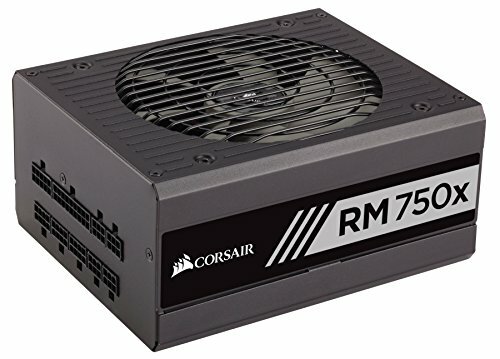 To keep brands consistent in this build, I looked at the Corsair 750D. It’s not super flashy, but the space definitely helped take some of the stress off of my shoulders when fitting in parts. Cable management and routing was a breeze as well. I will say that I’m a bit disappointed that the case didn’t come with a PSU shroud – I ended up purchasing a custom part for this. The case is one area where I definitely could have gotten more bang for my buck, but I’ll just have to keep that in mind for the next time. Not much to say about Windows 10. It’s definitely the preferred OS for gaming so no debate there. I’ve been utilizing Docker in my personal software development projects, so Pro edition was a must for me (Hyper-V technology is only available starting at Pro edition). My job provides its developers with an MSDN subscription so I got this for a free. Games are getting more and more detailed and 4K gaming is demanding on even the best hardware so expecting a constant 60 FPS in every single game is naive. Not wanting to compromise on graphical detail, I looked into G-SYNC monitors to help promote smoother gameplay. There are very few monitors that meet that criteria and, being an ASUS fan-boy, I was able to narrow down the last couple of options till I arrived at the ASUS PG27AQ. I am in love with this monitor. With a 60 Hz refresh rate, it’s definitely not for everybody, but it was exactly what I was looking for. With my job I sit behind a computer screen enough as it is so the blue light filter was nice touch that I’m sure my eyes will thank me for later. The best part is that Newegg had an incredible deal that brought the price down to just below the prices of competing monitors – I didn’t have to deal with the premium you would usually pay for ASUS products. Since I’ve only ever had a laptop, I don’t own a keyboard; I ended up going over to Fry’s to look at the selection. I wanted a back-lit keyboard since I tend to game with all the lights off. I also wanted something with configurable RGB since most non-configurable back-lit keyboards tend to be a bit too harshly lit for my liking. Finally, I use a mechanical keyboard at work and could not see myself going back to regular keyboards. 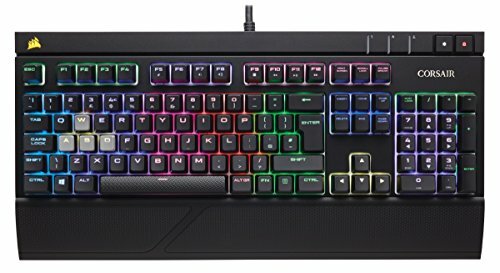 Newegg had a nice deal going on that day for the Corsair Strafe RGB keyboard so I got Fry’s to price-match it. As a bonus, got to keep my keyboard consistent with the other brands I’ve been using for the rest of my build. One of the few parts of my build that I already owned. I won this in a raffle in college and it’s been wonderful using it ever since. 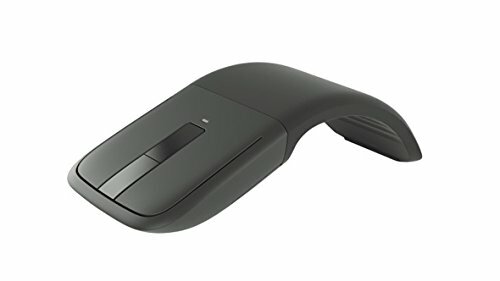 I tend to play games with a PS4 controller so I don’t really know how this would feel when used for an FPS or something like League of Legends. Either way, it’s perfect for what I tend to do and free is free. I was worried that I might go overboard with RGB but, looking at the finished product, it looks like I’ll need to add some more subtle lighting. I may end up picking up some of that RAM, thanks for the suggestion! Thanks! I was trying to go for darker colors so it would be a bit easier on the eyes. I considered mounting the radiator to the top but figured it would improve airflow and cooling by a marginal amount if I mounted it on the front. Most games are GPU intensive rather than CPU intensive for the resolution I was shooting for. It was an easy spot to save a bit of money given how expensive the build is already. Aside from that, with a single monitor setup I couldn’t see myself doing too many things at the same time while gaming. The cost of the 2080 Ti is ridiculous though, but I shouldn’t have much issue selling the Strix (terrific resell value) if AMD produces a cost effective competitor. How did the motherboard do with that cpu? I’m getting a 9600k and a Z370 board. Am a bit worried I’ll get a board that will require a bios update before it will work with the 9600k. Mainly I’m getting a Z370 board because of cost and it has a RGB controller. The board definitely requires an update and you’ll be needing a compatible CPU to do so (e.g. an 8th gen). I went to Fry’s and they were willing to flash it for a small fee which was a lot less expensive than buying another CPU. I had originally bought the Z370-E with the intention of pairing it with an 8600K so that’s how that decision came about. The board looks pretty awesome, but I’d honestly go for a Z390 board or one of the higher-end Z370 boards that comes with the ability to flash the board from a USB stick without the need for a CPU (lookup “Flashback”). I would avoid a BIOS update if possible though. That being said, everything is working fine although I haven’t tried overclocking my CPU yet. Not at all. It’s been an amazing GPU - powerful, silent, and cool. I have a tiny overclock applied and it currently sits around 67 degrees Celsius during heavy gameplay.